Cathy Lee of PubArt Gallery is a breath of fresh air among her generation of cubical bound workers in Hong Kong. We spent over two hours with her last week, discussing Hong Kong, art, culture and learning about her interests and skills, as well as hopes and dreams. The evening’s conversation kicked off with Cathy sharing about how PubArt came about. Cathy at once decided that life was too short to spend doing what others think is right and left her typically considered, financially stable job. 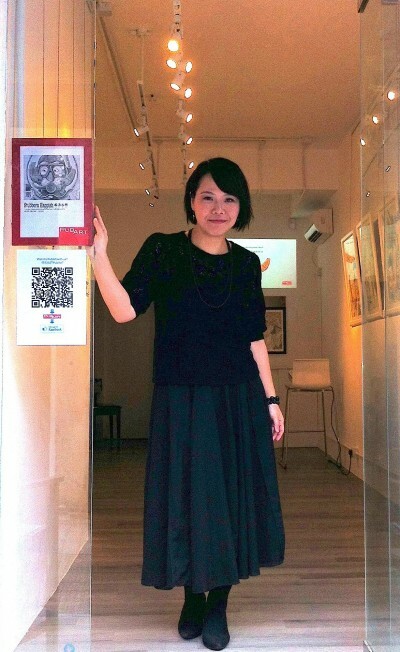 She then embarked on a personal mission to change Hong Kong’s perception about art and living. And thus PubArt was conceived with the notion of living life, pushing boundaries and being self aware. Raised in an open minded family, Cathy was often allowed to explore as she wills. “I was fortunate in that my parents never dictated what I should study, so I followed my brother’s advice and actively chose something interesting, which I would not ordinarily study. This turned out to be Philosophy – something not many in an Asian society would consider in my generation”. In fact, throughout her life, Cathy seemed to have continuously defy perceptions – first, cutting out a career in the insurance industry using her Philosophy degree, then completing her MBA to then pursue a career in arts. Despite her ‘path-less-travelled’ decisions, Cathy always had her family’s unconditional encouragement. 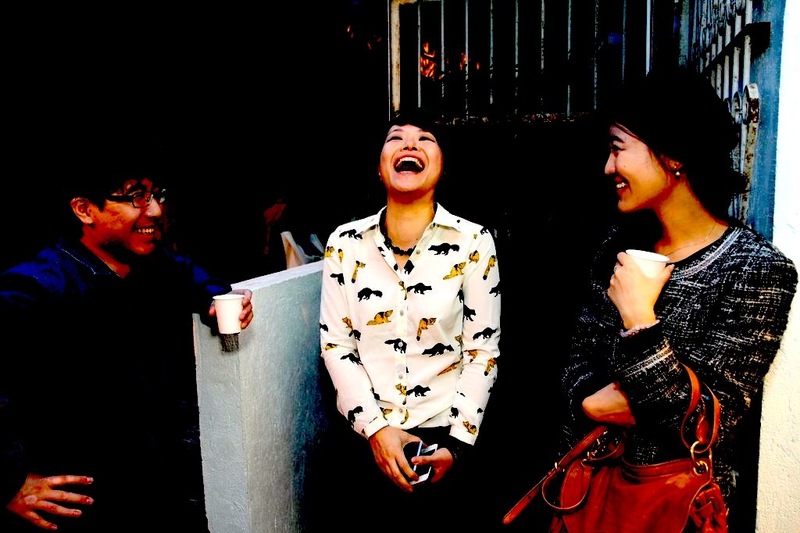 Spirited and contagiously energetic, Cathy shared her thoughts about Hong Kong. “People here are fairly caught up with chasing dollars. And understandably so, given property prices going through the roof. But there seems to be more to this obsession than bricks and mortars alone. The appreciation of aesthetics has a strong correlation with price tags. People have lost the ability, or have not learnt, to appreciate things without a price tag to guide them”. There is also the very pragmatic nature of Hong Kong people. If they were to pay for something, it has to be useful. That is to say, to consider purchasing art – it needs to first be useful art. She went on to explain how consumers would pay for an aesthetically pleasing art imprinted on an iPhone cover but not pay for the art alone – even if it were for the same price, framed. The offerings of functionality then, is instrumental. Though it cannot be said that the people of Hong Kong value functionality the way, say, the Scandinavian culture does – where art is in everything, including usable daily products. Hong Kong-ers tend to see “Art” as a form of indulgence and do not recognise that it is actually all around us. These are two reasons, in Cathy’s opinion, why local art cannot flourish in Hong Kong. The existing mindset ostracizes art as a hobby and not a skill. Wherein some countries, carpentry is regarded heavily as a form of art, in Hong Kong it simply isn’t. Illustration is an art, but in Hong Kong it is purely functional. She continuously urges fair coordinators to consider bringing out more local artists. “Most artists will give up halfway if their trade-craft is not financially sustainable. Many stop after their mid-thirties – after years of struggle. We live in HK. The environment is unforgiving and difficult when you don’t have enough to go by”. How will you promote local art through PubArt? “I have many ideas!” She passionately shares her plans to have more ‘Know Your Artist’ sessions , writing art journals and art guides, and to make PubArt available for emerging artists to use as an exhibition space – regardless of whether they fall under the PubArt’s umbrella of artists. Further, she hopes that the Art Community in Hong Kong will also lend a helping hand to “go local” by promoting art education and awareness among all circles of society, and not project the image of art as an indulgent hobby, reserved for certain echelons in Hong Kong. Cathy’s enthusiasm for change is remarkable. She elaborated at length about how she was recently inspired by the story of renowned film maker, Sir Alfred Hitchcock, who at the age of 60 wanted to push the boundaries of film making and produce the horror movie Psycho (1960), contrary to popular interest. He could have retired and enjoyed the fruits of his labor but he chose to give up his wealth in pursuit of a dream to realize an idea that everyone else thought was madness. He, of course, succeeded and this dream of his became one of the most acclaimed and influential works in Hitchcock’s career. Similarly, Cathy hopes to achieve the same through her determination and belief. Cathy is already busy with the next exhibition at PubArt, and is slated to write for a new art guide. She is also tossing ideas about a cookbook on healthy eating. No doubt life has gotten busier for Cathy since PubArt but she is truly loving every minute of it. Visit PubArt Gallery at http://www.pubart-gallery.com to see what else is brewing there! Posted on March 4, 2013 by ChalkandRaddyPosted in PeopleTagged Cathy Lee, PubArt, Pubart Gallery.